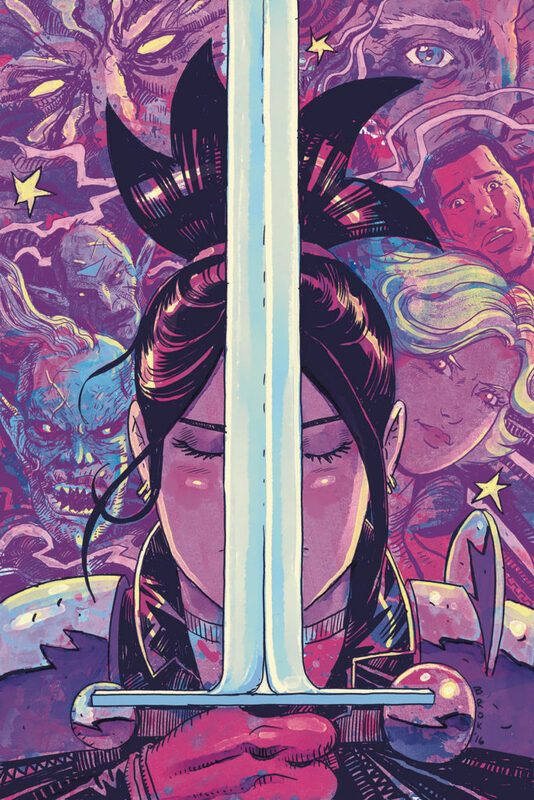 THE ONCE AND FUTURE QUEEN #2 is available to preorder now! Posted on January 31, 2017 by D.J. Issue 2 of my 5-issue Dark Horse Comics mini-series THE ONCE AND FUTURE QUEEN is available for pre-order now. Just give your local comic shop item code FEB17008W— or just dive in and add the whole series to your pull list! Battles are fought, weapons are bestowed, and romance begins to blossom! The new queen puts together her own Round Table as Merlin reveals what set the fae war off in the first place, the King in Shadow plots the defeat of humanity, and a devious third party is revealed . . . Are they friend or foe? Posted on October 20, 2016 by D.J. That’s right, true believers! Dark Horse Comics, my AMELIA COLE cohorts Nick Brokenshire & Adam P. Knave, Frank Cvetovic, and yours truly have a new book coming atcha in 2017 called THE ONCE AND FUTURE QUEEN. Read Dark Horse’s press release all about it! THE BIGGEST BANG trade is out November 2016! Posted on October 3, 2016 by D.J. Don’t forget to order IDW Publishing‘s PREVIEWSworld “Certified Cool” trade of THE BIGGEST BANG from your local comic shop. It’s in stores this November!